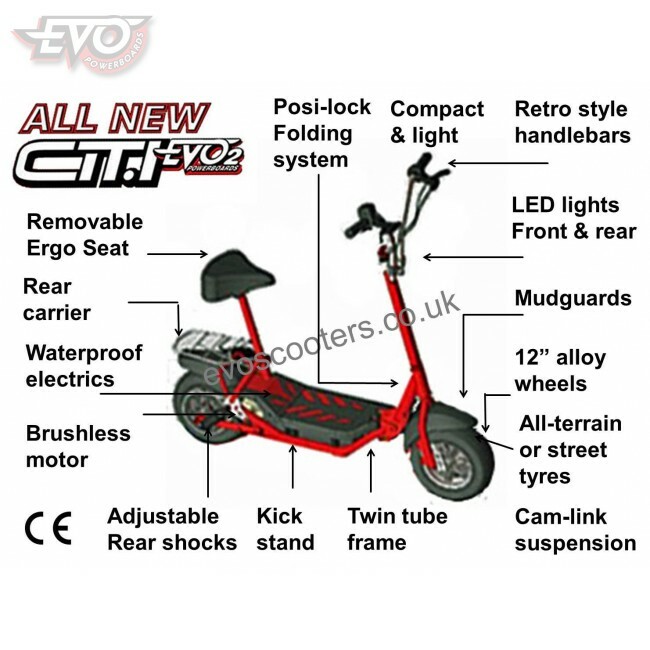 EVO Powerboards is delighted to bring you the all new, compact, lighter EVO Citi model with brushless motor. 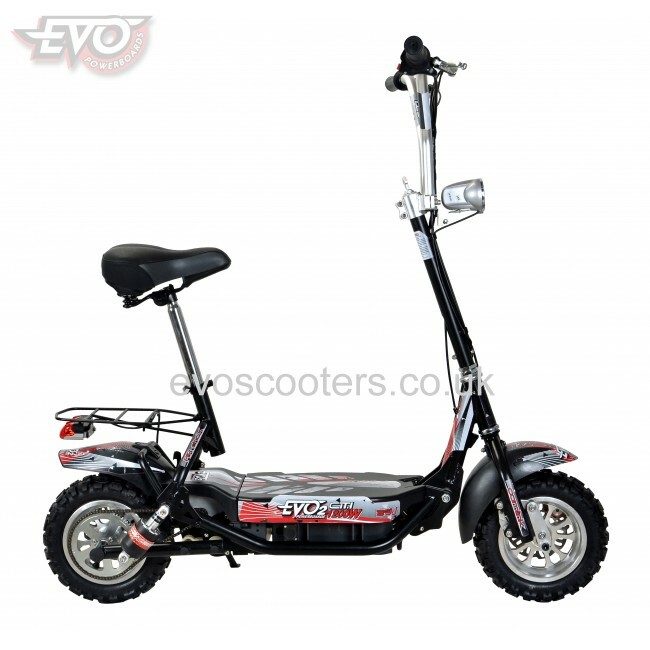 This listing is for a CE-certificated, foldable, twist-and-go, 800W EVO Citi Powerboard electric scooter with removable seat and supplied as standard with three 12V 12Ah batteries. This uniquely-designed EVO brand electric scooter comes with a very powerful genuine 800W brushless motor and is finished in edgy black with 12" wheels. 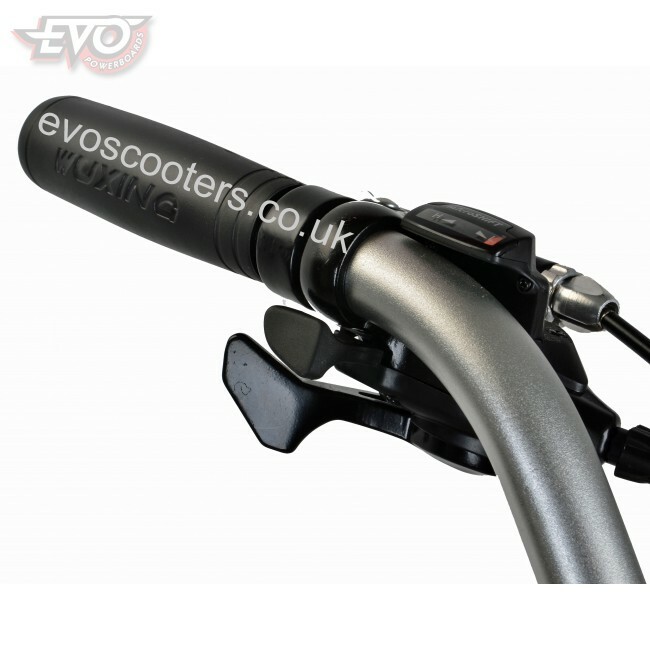 With its leading-edge styling, twin-tube frame, full-size dry-ride mudguards, retro-styled split handlebars, alloy wheels and rear carrier rack, it really is a uniquely designed scooter. It's also no slacker when it comes to performance either, being capable of up to 38kph and up to 16km per charge depending on load and terrain. 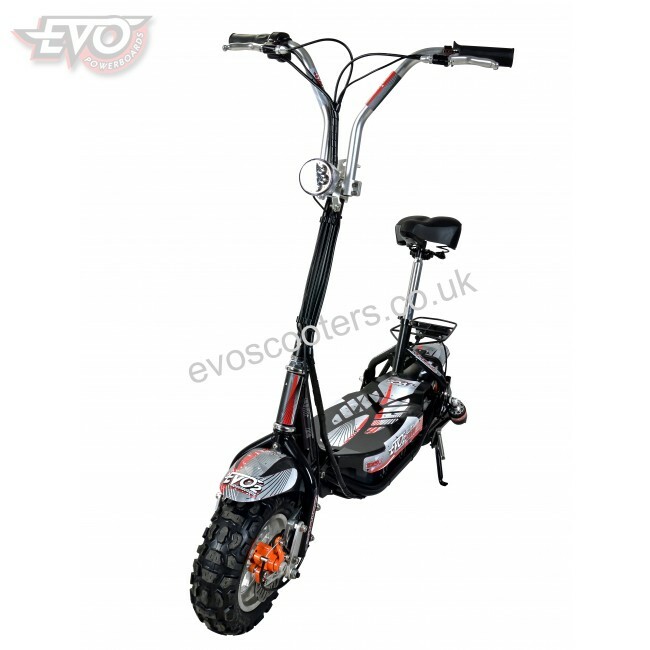 The high-specification of this top-of-the range scooter is complemented by front and rear disc brakes, 12" pneumatic tyres, advanced front cam-link suspension, adjustable dual rear shock absorbers and quick-release Ergo seat and rear rack. Being lighter and more compact than other full-size models and with its super posi-lock folding system, the scooter easily folds for ease of transport and storage. And if that’s not enough, you can even ride your scooter in the dark as it comes complete with front and rear LED lights. 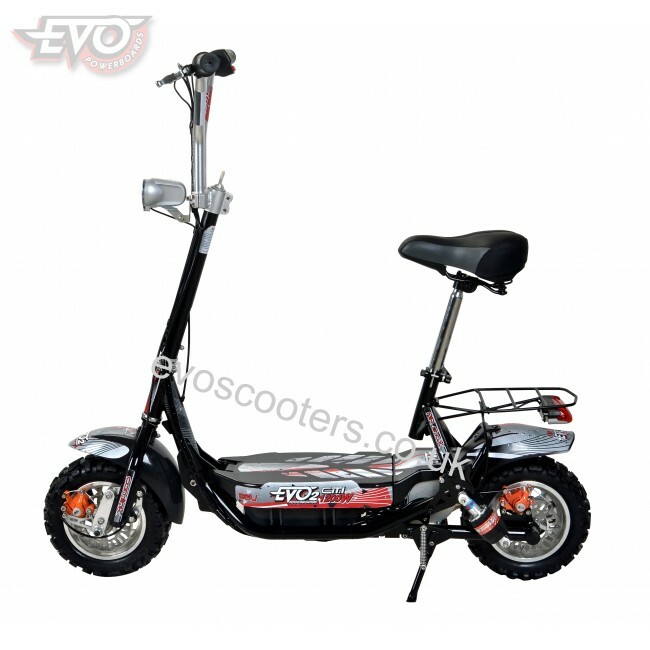 Capable of a loading up to 120kg, this scooter is tough being built around a high-tensile steel frame and boasting a durable chain and sprocket drive system. 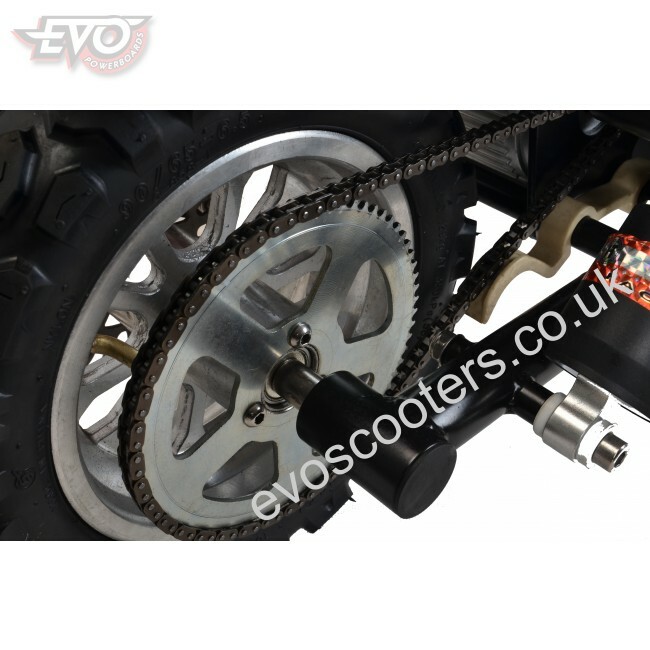 The drive system is equipped with a one-touch chain tensioning system that allows tightening of the final drive chain in one simple action without having to align the rear wheel. Water-resistant electrics equip the scooter for riding in the rain and a quick-removal battery pack facilitates external charging. Some assembly is required including installation of handlebars and seat & rack. 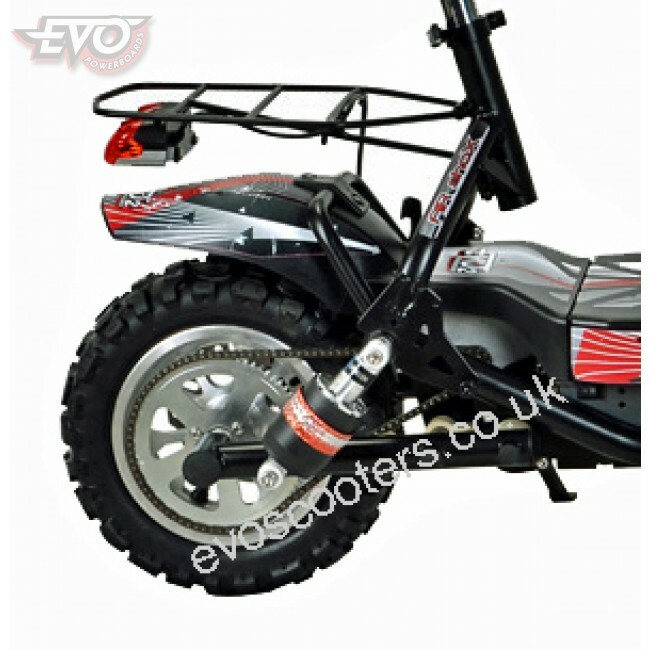 Prior to use the fuse must be installed, the battery charged and tyre pressures etc. checked as detailed in the manual. Please note that the stickers are not factory fitted. 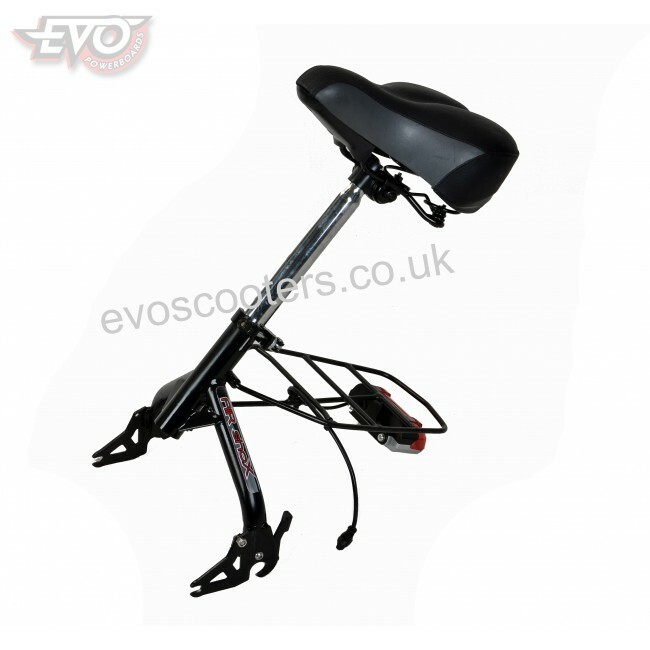 They are supplied as an optional addition and are packed separately to be fitted at the user’s discretion. 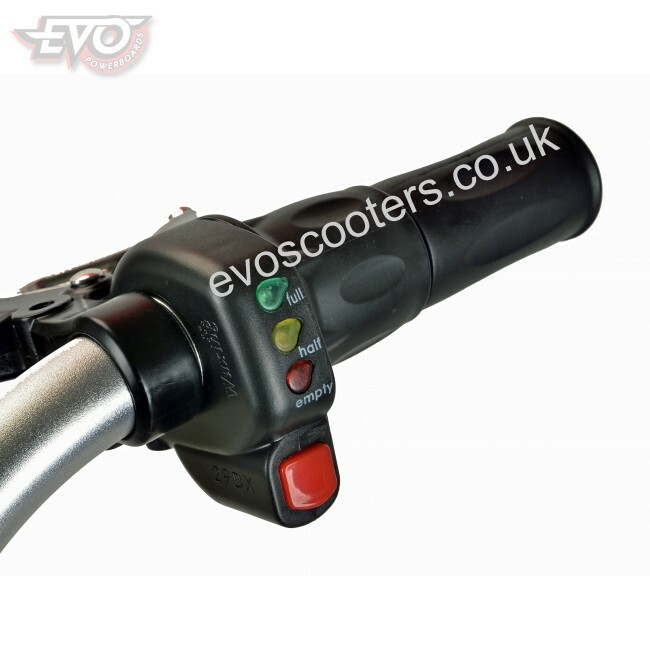 Some customers prefer to customise the scooter’s appearance by fitting their own stickers. 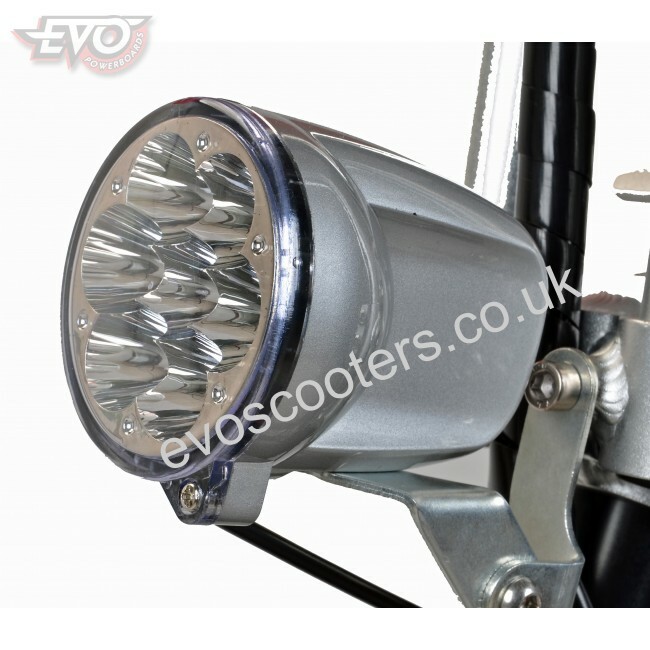 Others like the appearance of the scooter with some or all of the full set of standard stickers fitted. This scooter is for recreational use and should not be used on public highways. Electric scooters are not legal on public roads and can only be used on private land with the permission of the land owner. This product is designed for adults. 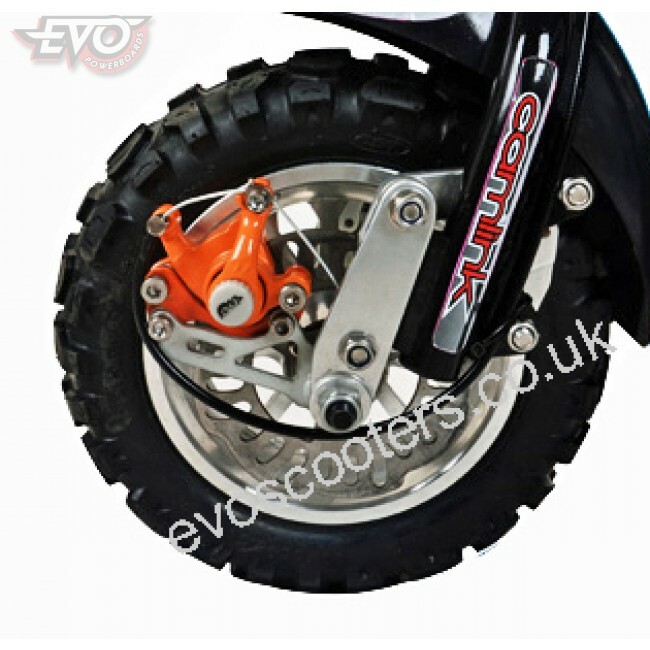 It is not a child’s toy and is not intended for use by children, due to its design and speed, and not being covered by the BS EN 71 regulations. All powered vehicles are potentially dangerous and their use could involve the risk of injury or death, and they must be used in a responsible manner. All nuts and bolts, tyre pressures and steering should be checked by a competent adult before every use. Accident damage should be attended to immediately and damaged parts replaced. Helmets and suitable protective safety equipment should be used at all times. Scooters of this type require mechanical and electrical knowledge and skill to run and maintain. Therefore, prospective buyers are advised not to purchase this type of product without a good understanding of how to operate mechanical items and access to somebody who is competent to carry out repairs.